A collaborative book written by Domus Academy students on the work of Studio Nucleo Art Design. How to think about design is a series of six meetings that will consider the ability of analysis and criticism behind the products designed by Studio Nucleo by Piergiorgio Robino. 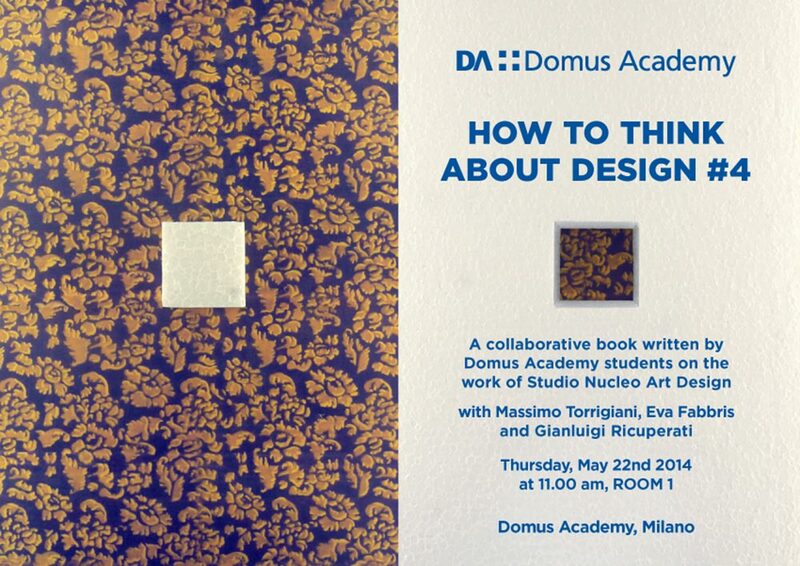 The meetings will lead to the creation of a collaborative monograph written by Domus Academy students on the work of Studio Nucleo Art Design. With the support of Massimo Torrigiani, Eva Fabbris and Gianluigi Ricuperati, participants will reflect on the production of knowledge and materials regarding a work by the Studio Nucleo.